Jack, Lilly and Friends reaches out to humans to provide a fun approach to educating children on numerous dog facts. 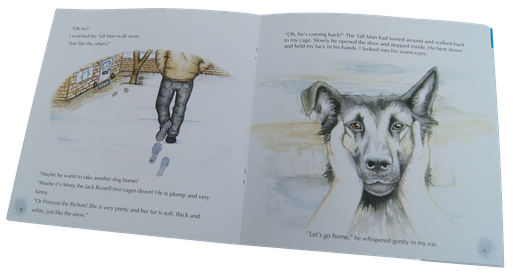 Our wonderful stories are seen and told through the eyes of our four-legged friends. Each book features different characters and their stories with retro style illustrations. Author, Gerald Smythe has often wondered what would our dogs tell us if they could speak. Thousands of dogs have had very sad experiences and are often misunderstood. Throughout the world they provide such unconditional companionship to their owners, furthermore their amazing abilities are sometimes undervalued and overlooked. Continuous research is conducted to further develop their abilities in the world of detection to assist us with medical support and assistance in our daily lives. We intend to produce further books in the Jack, Lilly and Friends series to raise awareness and highlight the importance of working and assistance dogs. We hope you and your families enjoy reading and learning about man's best friend. *Jack, Lilly and Friends fully supports the prevention of animal cruelty and animal testing laboratories.